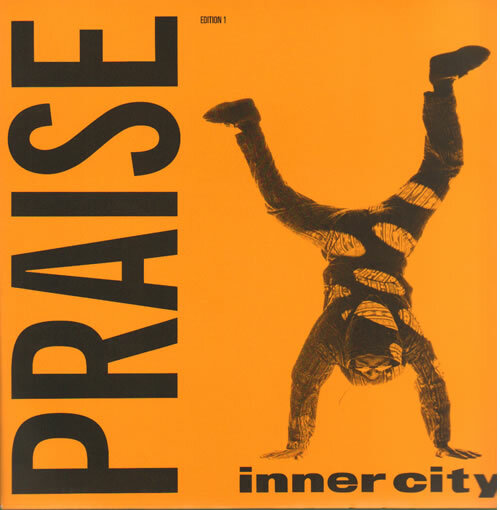 INNER CITY Praise (1992 UK 4-track 12" vinyl single, picture sleeve. Includes the fifteen minute plus Future Sound Of London Mix but the real action is with the two Detroit techno mixes on Side B; Carl Craig's Intergalactic Dub and Derrick May's Mayday Mix - essential! The sleeve shows very little wear and the vinyl has just the odd light blemish to show for its 23 years! TENX408). or visit our Inner City image gallery.